The Tampa Bay area has a thriving and innovative startup community. If you are part of that community or want to learn more, make sure to check out the Synapse Summit 2019 at Amalie Arena. This year's theme is Innovation Lives Here and will showcase the best of Florida's tech and development community. Among numerous others, speakers will include the man reshaping an entire section of Downtown Tampa, Jeff Vinik, owner of Tampa Bay Lightning and developer of Water Street District. Check out our article later this week on 813area.com featuring more of the keynote speakers! Tickets are still available, including a special $49 price for students and members of the military, but going fast. The Synapse Innovation Summit 2019 kicks off Tuesday, January 22nd with a tour of one of the most innovative concepts in Tampa, the USF Health Center for Advanced Medical Learning and Simulation Center. Later Tuesday, there will be a VIP kickoff reception hosted by Holland and Knight law firm. In addition to the kickoff party on Tuesday night, VIP tickets for the Synapse Summit 2019 include food and drink access in the Lexus Lounge, reserved seating in front of the main stage, a professional digital headshot, lunch provided both days of the Synapse Summit 2019, complimentary drinks for Wednesday evening’s happy hour and special meet and greet opportunities for VIP ticket holders. VIP tickets are still available, for $499. All access tickets are $299. On Wednesday, January 23rd, the Summit kicks into full gear. Whether you are looking for clients, investors or just to learn the latest and greatest on why innovation lives here in the Tampa Bay area, it will be two days of everything you need to know happening in one place! Registration opens at 8 a.m. on Ford Thunder Alley, outside Amalie Arena. 5,000 attendees and more than 300 exhibitors are expected to fill Amalie Arena in downtown Tampa. Synapse Innovation Summit 2019 will utilize all levels of the arena with a main stage for keynote speakers at ice/floor level along with the exhibitor tables of top sponsors. This is also where you access the Lexus Lounge with your VIP tickets. Exhibitor tables will also ring the promenade (100) level area of Amalie Arena, with sections organized in categories: Hub 1 will be Cybersecurity, Defense, and STEAM Hub, Sponsored by ConnectWise; Hub 2 is Blockchain and FinTech Hub, Sponsored by BlockSpaces; Hub 3 Artificial Intelligence, Machine Learning, Internet of Things, UrbanTech; and Hub 4 a HealthTech Hub Sponsored by Florida Blue. The Club level and fifth-floor section of the Chase Club | Amalie Arena will feature breakout and workshop sessions, along with networking area in Firestick Grill on the fourth floor. The terrace (300) level will feature Hub 5, focusing on e-sports, gaming and virtual reality demos from some of Florida’s leading developers! One part of the Synapse Summit 2019 you definitely do not want to miss is the Pitch Madness competition. Not your ordinary pitch contest, Pitch Madness will combine the formats of a debate with the beloved NCAA basketball tournament each March. The contest will happen over both days of the Summit, you can learn more and register your company for Pitch Madness here. 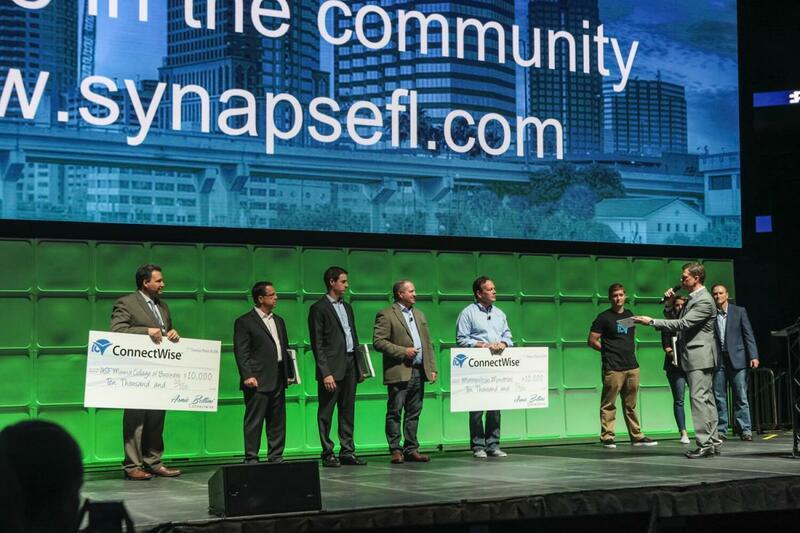 The 2018 Synapse Summit pitch contest was wildly successful for 813area.com ’s parent company, MyArea Network, leading to the investment and signing on of a new Chief Strategy Officer after hearing CEO Scott Conlon speak at the Tampa Bay WaVE pitch demo. You can check out more details on MyAreaNetwork’s success from the Summit pitch contest here and from our friends at the Tampa Bay Business Journal here. Synapse Tampa is a not-for-profit organization dedicated to accelerating innovation in Florida. The Synapse Summit 2019 will be the anchor event of Synapse Innovation Week throughout Downtown Tampa. Make sure you get your tickets today for Synapse Summit 2019 and be ready to connect and expand your knowledge of why innovation lives here in Tampa Bay! 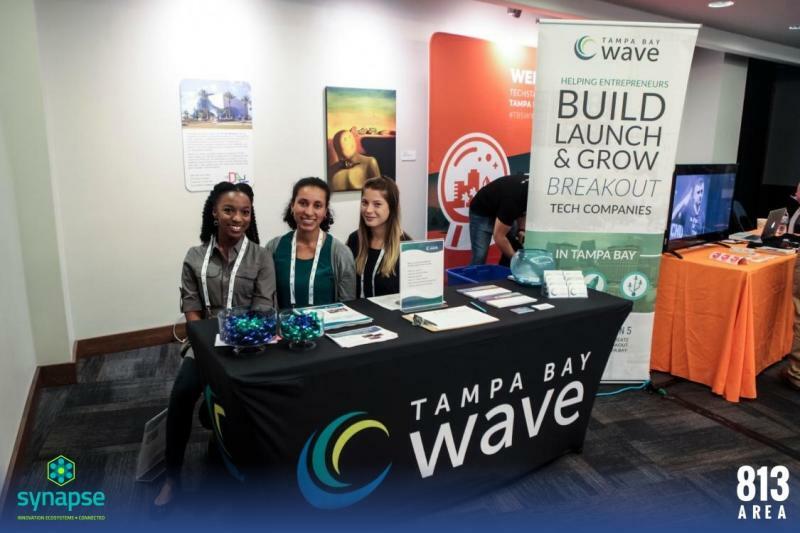 If you are visiting Tampa for the Synapse Summit 2019, make sure to check out our all we offer here at 813area by checking out our sections on restaurants, events and other things to do in Tampa!